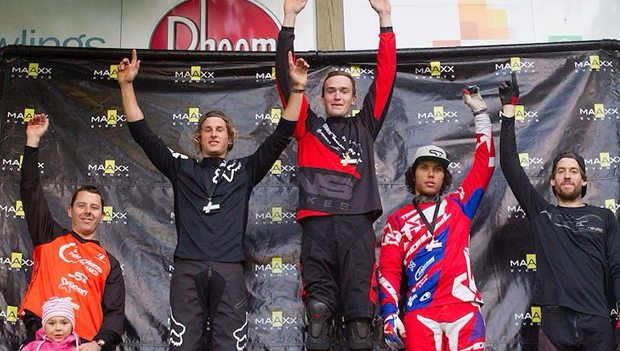 Phil Ricard wins the B-Maaxx Overall! 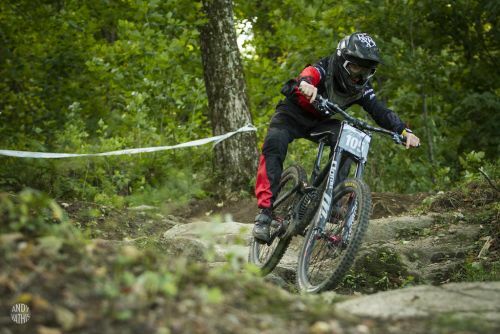 Last weekend marked the two last races of 2015 for most of the team LamaCycles / NS Bikes Downhill Team. 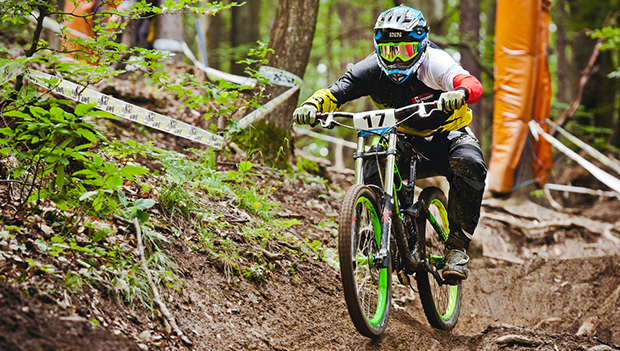 Bromont hosted the last round of the B-Maaxx Cup as well as its first Enduro event. Phil, Liam, Lucas as well as Lama Cycles co-owner Justin Macknish were in attendance. 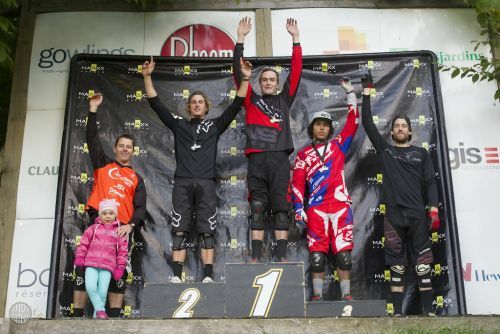 On Saturday, Lucas Rey-Sierro finished 6th in the Expert category, which made him finish 4th in the overall. In the Pro category, Liam finished a respectful 12th while Phil Ricard once again won the race with an impressive 2.5 seconds advance over second-place finisher Jonathan Lefrancois. 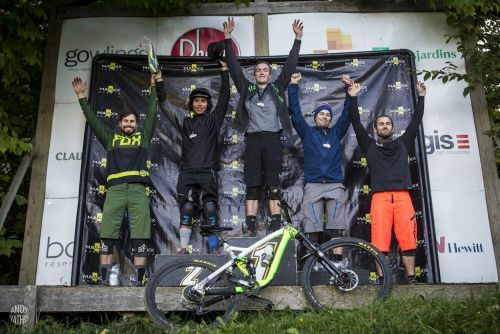 After winning 4 out of 5 rounds this year, Phil certainly finished on the top step of the overall podium. Congratulations Phil! 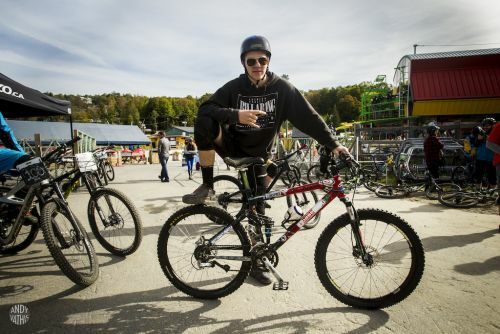 On Sunday, all the boys switched to their small bike (read All-Mountain/Enduro) for the first ever Enduro race happening on Bromont's playground. 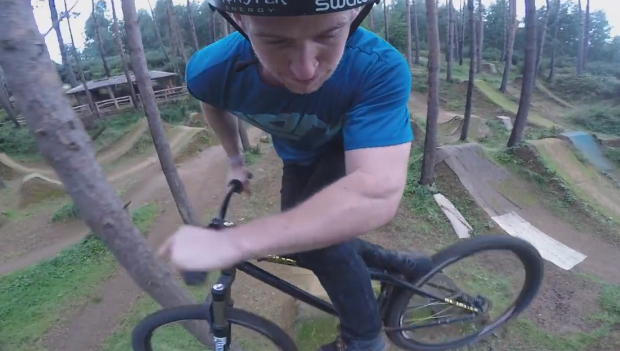 The three stage-race proposed some classic segments as well as a brand new loamy track. 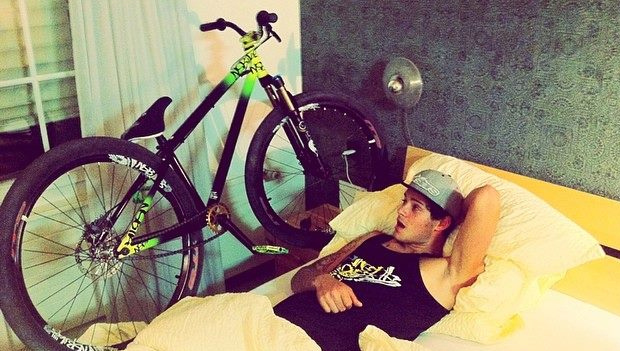 Lucas Rey-Sierro was the first Lama to come down and eventually finished 8th. In the Pro category, Liam Rourke stole the first half of the show by showing up on a 2001 XC bike and going through the three stages without any mechanical issue (well done Liam). On a more serious note, Justin Macknish finished right outside the top 5 in all three stages end eventually finished 6th. As for Phil Ricard, a top three in all stages enabled him to win the race, another sign that he's Quebec's top contender when it comes to gravity racing. What a great end to the 2015 season! While most of our riders will slowly start their off-season training, Lucas will head down to Platekill, NY for the ESC Finals happening next weekend. We'll keep you posted on his results. Big thanks to our sponsors that help us all season long: NS Bikes, Race Face, Dainese, Maxxis, Industry Nine, Five Ten, Manitou, Formula Brakes, Spy Optic, Bell, MRP, Maxima, Bromont, Pro Circuit, Thule and NSK. COPYRIGHT 2015 7ANNA sp. z o.o. sp. k ALL RIGHTS RESERVED.